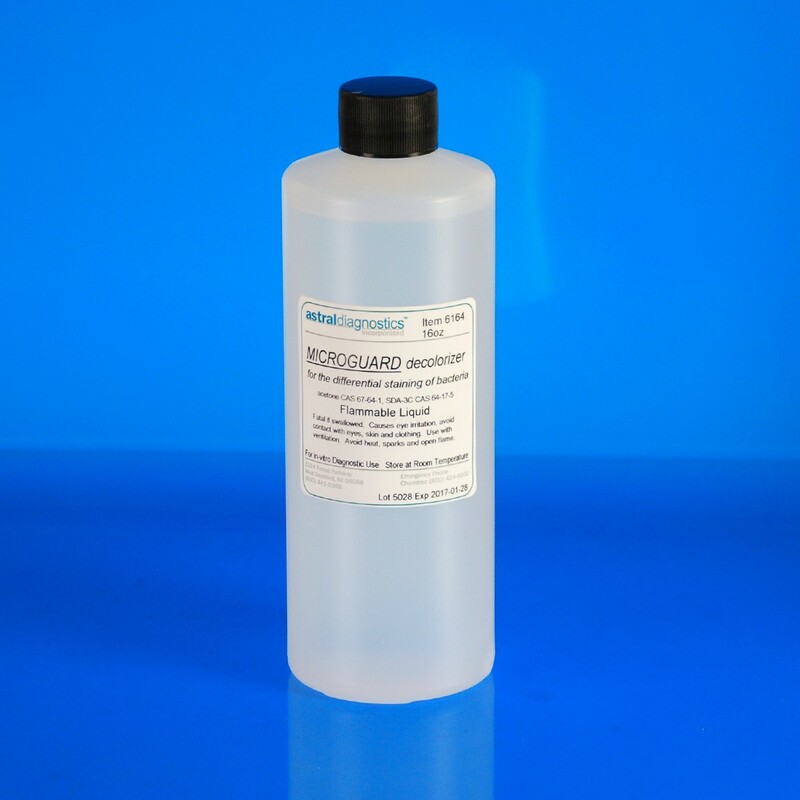 MicroGuard Gram Decolorizer 75/25 | Polysciences, Inc.
Gram's Decolorizer is used in the identification of Gram Positive and Gram Negative organisms. The decolorizer dissolves the lipids in the cell walls of Gram Negative organisms causing the crystal violet-iodine complex to rinse out. Gram Positive organisms resist this and holds onto the crystal violet-iodine complex. Consists of a 75/25 composition of alcohol to acetone. FDA approved for in vitro diagnostic use.